We build scalable backend solutions using our middleware. Scalable from specialized use with a few clients to consumer services utilized by millions of clients. Our specialty is collecting data from diverse set of sources and consolidating it into a coherent data set. We utilize our specialized search engines for gathering data from web pages, web service interfaces, and other customer specific interfaces. We implement mobile applications for Apple iOS and Google Android based devices. Typically our applications are presenting data collected in our cloud backend and often are utilizing positioning and map for presenting locally relevant data. Modern HTML5+CSS3 based responsive web interfaces that present dynamic data provided by our cloud backend. We provide integration services for integrating various types of business and accounting systems utilizing our data integration middleware. Examples of this are integration between ERP systems, Salesforce.com and cloud based business administration systems, such as Procountor and Netvisor. We also provide Salesforce.com customization and APEX programming services. Services for migrating data from legacy systems to modern cloud based business software. Lounaspaikka.fi is one of our products that is targeted towards consumers. It is an example of a service where we use our data collection middleware to collect daily lunch menus from thousands of web pages in very diverse formats. Our specialized search engine finds the lunch menu data and converts it into a unified format. Our scalable cloud infrastructure provides the data in an optimized format to be presented by mobile client applications. Our middleware solution can also help organizations to publish their open data where it is advantageous to let data to be used openly by third parties. We believe that open data is a continuous process — not a one time publication. We implement systems that continuously track relevant data in their origin system and process it to be provided to consumers of open data via a scalable cloud infrastructure. North–Sixty-One also licenses Technology Compatibility Kits for a number of Java ME specifications. Contact us for information regarding the Java ME products and services we offer. Kimmo has more than 20 years of experience in software engineering. During his career, Kimmo has led technology development in the areas of Java development, web standards, mobile software and cloud architecture. He is a fluent developer of cloud backend services utilizing Java EE and Amazon Web Services, mobile development for Apple iOS and web development lately utilizing AngularJS and HTML5+CSS3. 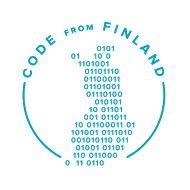 Erkki has over 20 years of experience in different aspects of software creation. He has a background in mobile app development, web technologies and Java. He is currently working on Android apps and a backend web crawler running on Amazon Web Services infrastructure. North Sixty–One Ltd is an expert in collecting and processing data, cloud infrastructure, mobile platforms, applications, and internet services. The company was founded in 2011 and has provided successful customer specific projects as well as own products. Lounaspaikka.fi is a successful consumer service that North Sixty–One has realized. © Copyright 2014 — 2017 North Sixty–One Ltd. All Rights reserved.